With current technological trends and innovative social network entities being introduced into the market today, competition towards attracting end users is seemingly endless and still, quite fruitful, especially among the present youth. One Sri Lankan web design and technological firm, with a base in the USA, Vesess, thrives on giving power to businesses via the internet. 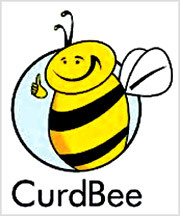 In 2008, Vesess launched its flagship product, CurdBee; a simple and highly affordable web application which provides easy and convenient online invoicing and billing. It was specially initiated with freelancers and small businesses in mind, packed with plenty of features and is uncomplicated and straightforward to use. Thousands of users around the world rely on CurdBee to send estimates and invoices, track time and expenses and accept online payments, every day. The service is one of the most popular online invoicing options and is being used by people from over 130 countries on a daily basis today. CurdBee will be receiving a major revamp by the mid-half of this year, with focus on adding a layer of invoicing on top of a new improved platform with features, business networking and social commerce composites, where it would be even more useful to freelancers and SMEs. A string of new web applications would be launched, among the first, being Colomboard (www.colomboard.lk), an online community for people to share ideas and explore products and services in the Sri Lankan market, especially in Colombo, this venture aims at assisting and simplifying small and medium businesses in the capital. Through accessing Colomboard, users can benefit from the convenience of interacting with fellow users, in a manner where they can get to promote their goods and services they specialize in ultimately and sell their products. “We believe that small businesses should form the backbone of any economy and we want to contribute to other Sri Lankan SMEs to get off the ground in ways that we could. “It takes all kinds of businesses to develop a country and we are confident that sub continent companies can be more than just cheap labour for firms from North America and Europe,” Lankitha Wimalarathna, Founder/CEO of Vesess said. An online community for people to share ideas, explore products and services in the Sri Lankan market, particularly in the city of Colombo, Colomboard aims to simplify the SME business process in Sri Lanka’s capital. “Colomboard would let people share interesting stuff with fellow Sri Lankans,” said Prabhath Sirisena, Co-Founder and Creative Director, Vesess said. A significant stance of this is that people can acquire the chance to easily sell their products, something which is quite difficult to do in Sri Lanka. “We are pleased with our current status, but also have a long way ahead of us. We have plans for our tenth year and hope to start work and see that it is fruitful” Wimalarathna concluded.